It was so wonderful seeing all the guys who came to our NCMI team time in North America in August. Many had huge testimonies of how God came through for them to get here! Plus the North American guys were enormously encouraged when they saw the international commitment to our region. Getting out of our context and experiencing other places and cultures is often a fruitful adventure and we were all encouraged through that process. But even more so, the bigness of what God has called us to – and who He has called us to do it with – excites us! After these two weeks together, I am so tremendously encouraged! During our time together, God spoke to us and encouraged us in many ways. He has shown us that the future that awaits us is huge! He is already in that future and we need to anticipate Him in this season. There was also a fresh sense of pioneering and planting and relocating while we keep building and strengthening what we already have. Furthermore, there was a huge prophetic emphasis on the next generation and a real stirring in the Spirit to get back into those regions we had been working in in the past but stopped due to guys moving away from our partnering together. God wonderfully reminded us that our future is not wrapped up in a man but in Him! And He has not changed! And more than all these things, the Holy Spirit kept bringing us back to Jesus as the center of it all! God has really been so good to us. There is a real humility in our ranks and that’s been such a sign of our Father’s faithfulness. He has rescued us from ourselves. He has also created such a large capacity in our ranks by bringing in guys of all ages with all kinds of gifts. This is really a sign of God’s goodness! We’re enjoying the evidence of God’s tangible and manifested presence in all our gatherings again. This is the kindness of our Father and proof that He is with us. You can’t manufacture that. Furthermore, the biggest evidence in this season of His kindness is the doors that stand wide open to us today! He has gone way beyond all that we have asked or imagined! We truly are living the dream and our King Jesus continues to lead us on! 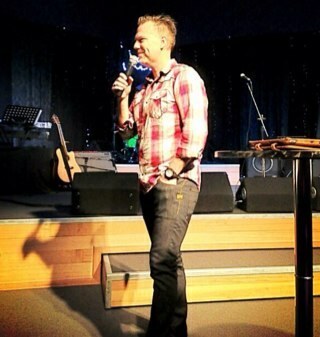 At the NCMI team time we spoke about our plans to host a World Equip in 2015 in South Africa. We’ve always hoped we could somehow get others to experience something of what we experience when we hear feedback of what God is doing. We also feel that we are stronger together and sometimes just need to do what’s necessary to be together. I’ve been stirred over the past months by what it could look like if we bring everyone together to celebrate 35 years of God’s goodness; and also stir us on for the next 35 years! I mentioned this to the team and they all felt we should do a World Equip and that it would play a wonderful part in catapulting us into our future. It’s also a very practical way for everyone to see and experience that they are part of something way bigger! This is the first time we’re doing this and we don’t know if it will be a regular event. But we know that the time is right for us to go for it! Part of what we’re hoping to facilitate with the World Equip is that people that come from all over the world would use the opportunity, after the Equip, to minister and reach out into all the regions of Africa and be a blessing to that continent! We’re hosting it in South Africa as we believe, in our togetherness, that it’s the most likely place where we can host something like this and it’s the most viable option, financially, for everyone. I’m hugely excited for this time! Keep loving Jesus and raving about Him!